What’s all the fuss about grain-free this and grain-free that? Should you be grain-free? Is it healthier to abstain from grains? Maybe. Or not. Grains can be difficult for some people to digest. This can be true. Some people think that abstaining from grains will help them lose weight. It’s possible. But I think whole grains are good for you, especially if you can take time to soak them before cooking (read this post) and as long as you don’t overeat them since they do contain a fair amount of carbohydrates which can spike your blood sugar. I touched on this in my last post. I am also a fan of mixing it up a little and I love having a few good grain-free recipes in my repertoire, especially since so many people I know are going grain-free right now, even if they don’t know why. Wink, wink. When I taught this tart in my classes a while back, most people loved the recipe because the crust is a press-in crust and not one you roll out. That was the excitement about this tart — no pastry-making, no rolling, no anxiety. Fair enough. This is a really easy crust to make and I actually like the way it tastes better than traditional pastry. It has a more interesting nutty flavor and great texture. Let this be your “back pocket” grain-free/gluten-free tart crust. The balsamic-roasted strawberries are one way to go with this, and I love the combination of sweet aged balsamic vinegar and strawberries. I may sound odd, but it’s a very classic and delicious sweet-tart combination. Plus when the juices from the strawberries mingle with the syrupy balsamic, it’s absolute heaven. Try pouring those on top of Greek yogurt or ice cream. But you can essentially fill this tart shell with almost anything! Cream fillings, Greek yogurt, fresh fruit, cooked fruit, ice cream all work here. The crust is totally neutral and will be perfect with anything. I am posting this now because I think it would be ideal for Easter which is in 2 weeks or for Passover next month. One caveat with a lot of grain-free crusts — they get soggy a little faster than regular pastry crusts, so I fill them at the last minute. Make this the day before if you want and let it sit at room temperature and then make your filling separately and fill just before serving for maximum crispness. Of course, you could melt some chocolate and spread that on the finished crust to form a barrier of sorts, but that’s a whole other thing. 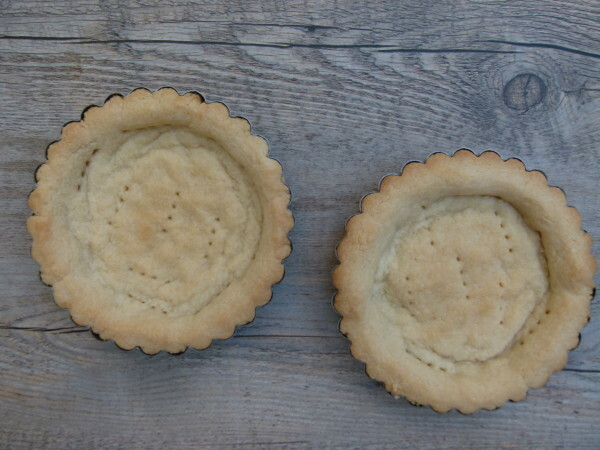 You can also make mini-tarts as shown above which is super fun. 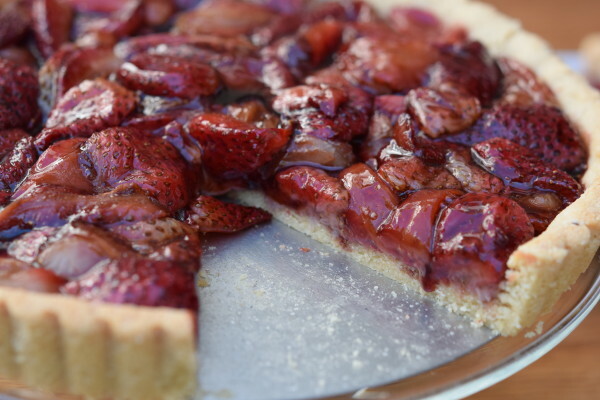 I was able to make 5 6-inch tarts with this recipe. How cute would it be to have a platter with all sorts of mini tarts and different fruits? Answer: really, really cute! In a large bowl, stir together almond flour, coconut oil, maple syrup, egg white, vanilla extract and salt. Mix until very well combined. Transfer mixture to prepared tart pan and press firmly and evenly into the bottom and sides. Make sure the dough is a uniform thickness throughout. Prick the crust all over with the tines of a fork (about 12 times is good.) Refrigerate dough for at least 20 minutes before baking. Preheat oven to 400 degrees. Bake for 20-30 minutes or until golden and firm to the touch. You basically want to cook it until it is as golden as possible without getting too dark. Remove from the oven to cool while preparing strawberries. 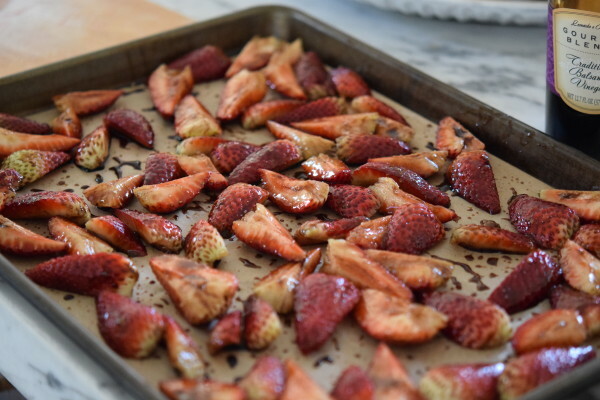 Pile the strawberries onto a large rimmed baking sheet with unbleached parchment paper. Sprinkle with sugar and drizzle with balsamic. Toss to coat and spread in an even layer. Roast strawberries for 10-12 minutes or until they begin to soften and start to lose their shape. 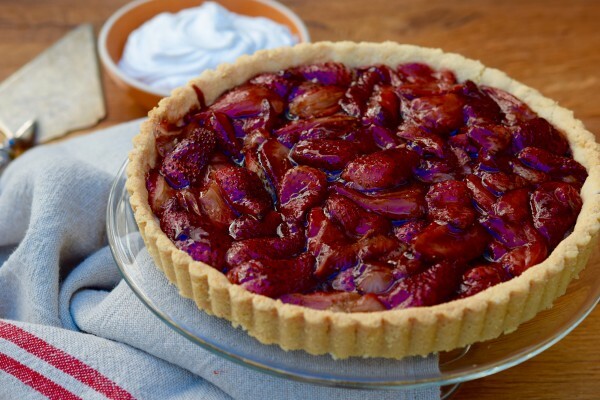 You can pour the warm roasted strawberries into the cooled shell and serve immediately or allow the berries to cool and then transfer to the cooled shell. Either way, berries should be poured into the shell just before serving so that the crust doesn’t get soggy. Serve plain or with desired accompaniments. I made this pie for Passover, and it was a big hit! Every one absolutely loved it, especially the crust. I had only one piece leftover the next morning, and my husband said that it was even more delicious with the strawberry/balsamic vinegar mixture soaked into the crust. Thank you for this great recipe. This will also be on my Passover menu each year. The tarte looks great really I have added this to my next home made cookies the children will abolutelly like it. My apologies. You add it with the rest of the crust ingredients. I’ll fix it now. Thanks. I’m sorry this happened! Let’s see where it went wrong. I haven’t tried this in a glass dish. I used a tart pan with a removable bottom. I suppose you can line the bottom of the dish with parchment paper to help it come to more easily, but I can’t say that has ever been a problem. Did you try removing the entire crust from the glass dish or did you just try cutting a piece at a time? I think it would be really tricky to try and remove the entire crust from a glass baking dish without breaking it into many pieces. The dough definitely needs to be chilled for 20 minutes, but the freezer for 15 should be fine. Lastly, if you used a “glass dish,” what is that? A pie plate? 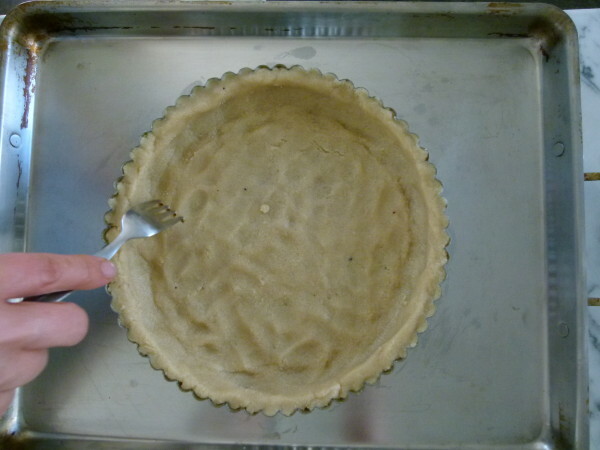 The sides on a pie plate are too high, so I am envisioning your dough begin spread too thin in the dish whereas a removable tart pan has very short sides and you’ll have a thicker crust. Just what I’m guessing, let me know if you can elaborate and I’ll help you figure this out! 🙂 Yes, sorry it was a glass Pyrex pie plate that I used. I tried to just remove a slice/piece of tart, not the entire crust. The first tart I made, I had to chip away at it to get some crust but the second tart, I had to just dump. It was like super glued to the plate. I’m going to give it another try but this time I’m going to really give it a good coat of oil on the plate and line the bottom with parchment paper. If that doesn’t work, I will purchase some small tart pan because everyone loved the dessert but it looked horrible. Where did you purchase your tart pan? As always thank you…oh and you rock! Yes, give it a good greasing or use parchment. I’ve never tested this in a glass plate. Also keep in mind there isn’t enough of this dough to spread all over a pie plate. Notice how much shallower a tart pan is. Make sure you’re getting a thick enough crust, not too thin. I bought my tart pan at Sur La Table, but you can find them at Williams-Sonoma and on amazon. Pamela, I’m going grain free for a few months and feeling strangely good … Even tho I know I’m not actually allergic to grains. 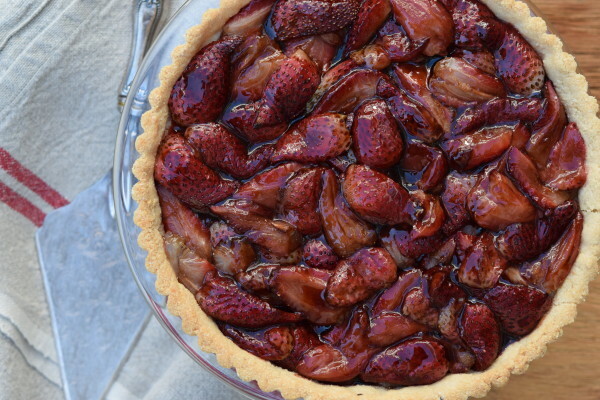 This tart crust sounds so good! But I have severe nut allergies – incl almonds. Is there any nut free flour that can work? Many thanks! Hi! Can strawberries be made day before, refrigerated, and then brought to room temp before filling the crust? This looks so good and I want to make it for Passover!